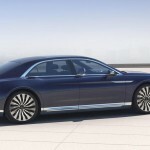 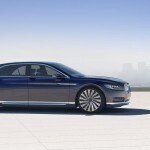 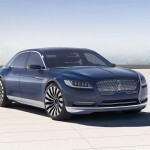 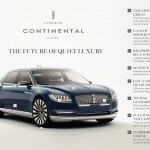 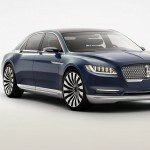 Lincoln has not released information regarding the platform and drive layout of the concept car. 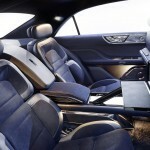 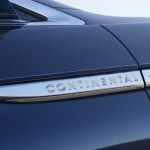 From our point of view, it looks like the new Continental concept will be based on a front-wheel-drive platform. 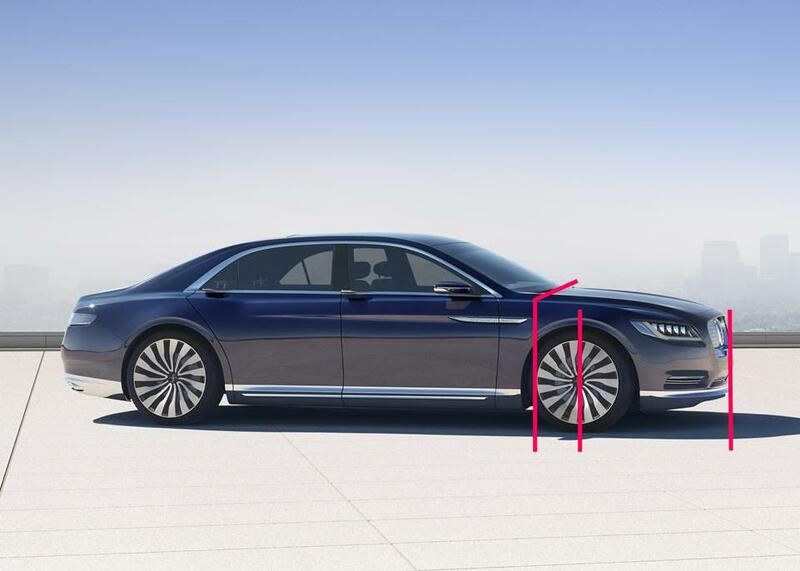 See the below illustration: the windshield is placed excessively forward into the engine bay, which signals the location of the firewall will be very close to the front wheel axle. 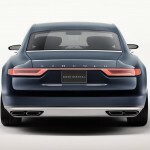 The space will be too tight to place a V6 engine – unless it is located largely in front of the front axle. 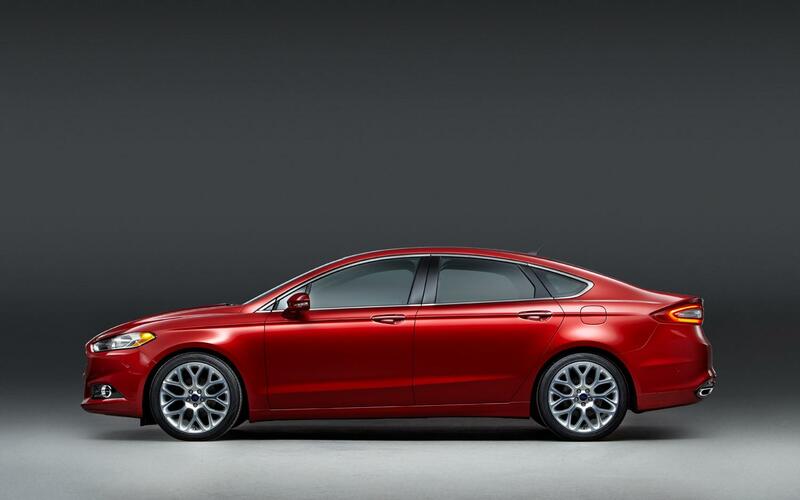 Refer to the Ford Fusion’s layout proportion: the Continental concept’ frontal section arrangement is very similar to the Fusion. 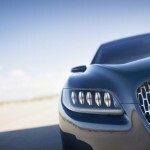 We will provide you more details on Wednesday, after its debut in the NY auto show. 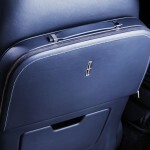 Meanwhile, please enjoy the below gallery and see more details in the press release.